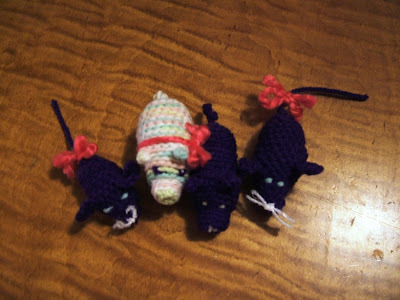 These are cat toys that I made today. They are going to be taking a long journey soon. Some are going to the UK & others to Australia! OH MY GOD! GAY RAINBOW PIG!....GIVE IT A HORN!! 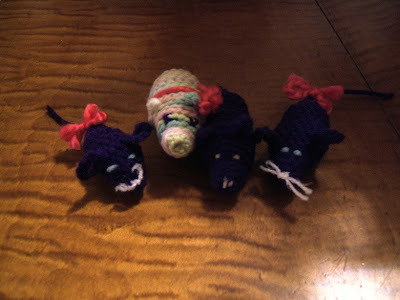 i am almost done with a rat :)....that i will give a horn. Such a cute little mouse family! We will give ours a very good home! Steph.